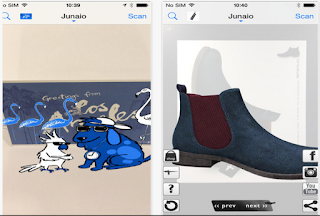 Junaio is a great Augmented Reality app to add to the list of the best AR apps for teachers. Junaio enables you to easily access augmented content on images and objects and provides you with an easy way to experience new virtual interactions. 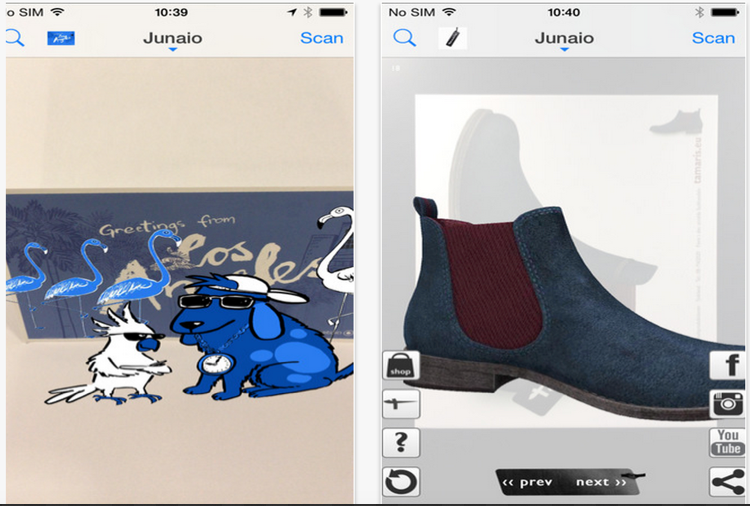 Junaio is also a QR reader allowing you to scan any QR code or barcode for product information and web pages. You can also use the app’s visual search to discover content in AR enabled images. June makes some amazing 3D renderings and combines content from several apps including Instagram, Eventbrite, Valpak, Foursquare, eBay classifieds and many more. It can also be a good source of entertainment providing different AR games, quizzes and other interesting content from over 1500 channels. The app supports several languages (English, French, German, Italian, Russian..etc) and requires an iOS 6.0 or later.